Satisfaction guaranteed or your money back. 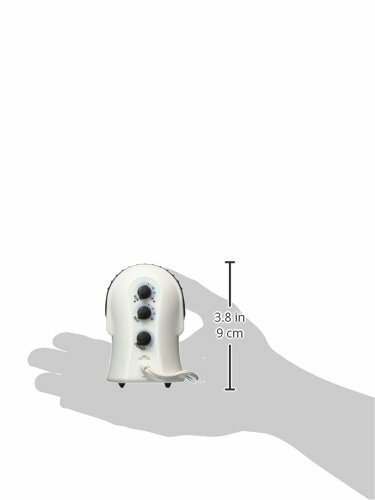 From the Manufacturer:This product is leading edge, state of the art, Essential Oil Diffuser technology for Aromatherapy. 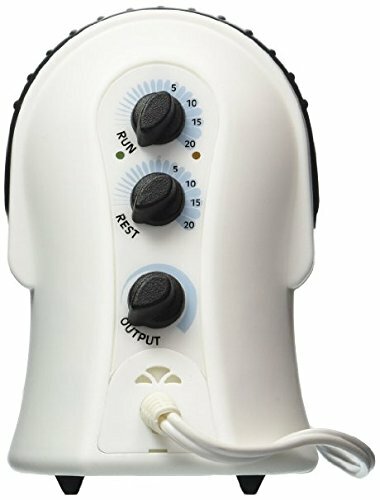 It is designed to bring spa quality aromatherapy to your home, office, hotel room, or anywhere that you wish. 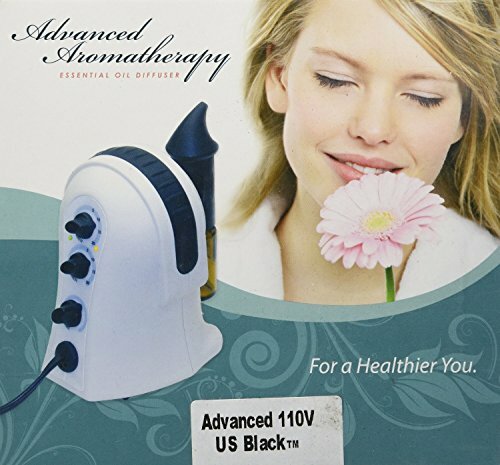 This compact diffuser is the most efficient and powerful essential oil diffuser in the industry. The top of the line atomizer technology is extremely effective and atomizes essential oils into a mico-fine vapor that is dispersed into the air. 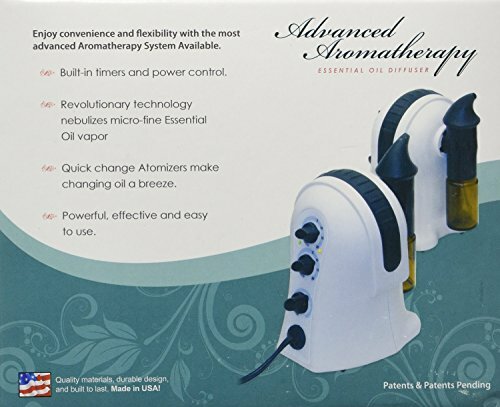 Features a quick change atomizer system that connects directly to the Essential Oil bottle and the powerful aromatherapy pump. Higher pressure means more abundance of micro-fine oil droplets less than 3 Microns. Smaller particles stay suspended in the air for long periods of time so you get more health benefits from less essential oil. Run time allows complete control of how much essential oil is diffused and when. Rest time (Off time) gives you the option to conserve oil like never before. Diffuser Worlds diffusers are the most easy to clean diffuser systems on the market. For cleaning instructions, find your diffuser below:andnbsp,andnbsp, andnbsp,Quick-Clean: If you feel there could be an oil clog, then a quick-clean can fix the problem. Pour a little alcohol (Rubbing, Vodka, Ever-Clear) in an empty essential oil bottle and diffuse for a couple of minutes in a well-ventilated area. You can also diffuse orange or lemon essential oils as they are natural cleaners.andnbsp,andnbsp, andnbsp,Deep-Clean: To deep-clean, first remove the atomizer attachment from its base. The oil clogs develop in the atomizer attachment, usually in the straw. Twist off the essential oil bottle. NEVER try to remove the straw piece in the atomizer attachment. Immerse the atomizer attachment in alcohol (Rubbing, Vodka, Ever-Clear). Let the atomizer attachment remain completely immersed in alcohol for some time depending on the thickness of the oil or resin build up, generally.